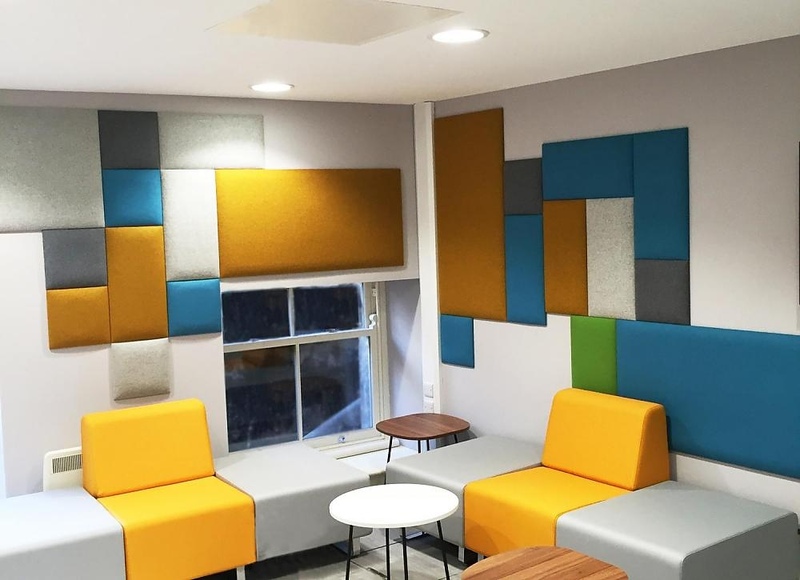 SUCCESS OF HUSH PADS PANELS! 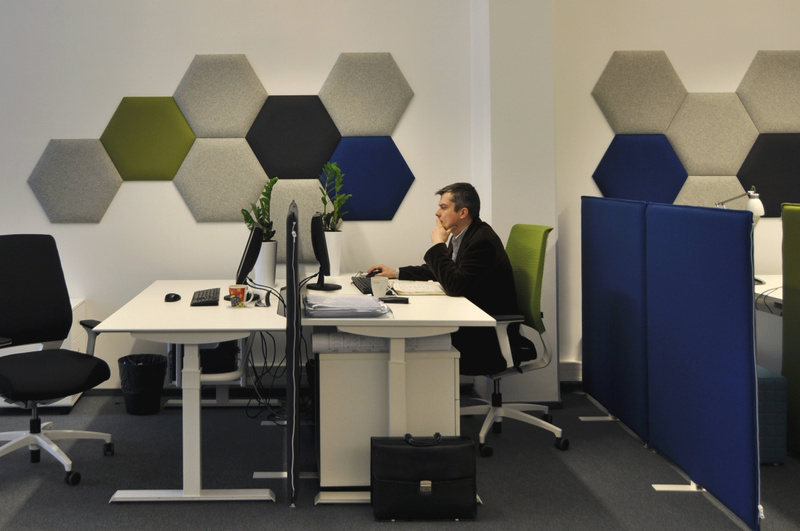 Managing office acoustics isn’t simple. 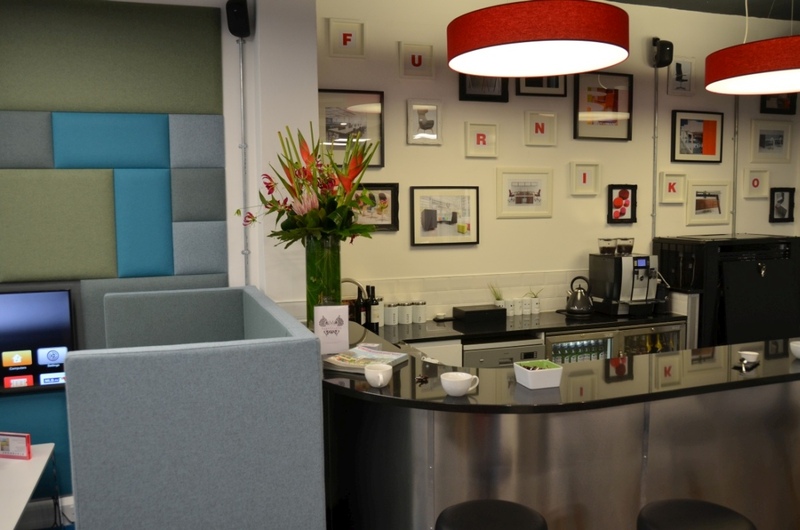 That’s why we have been supporting our clients in creating an optimal workspace for a long time. 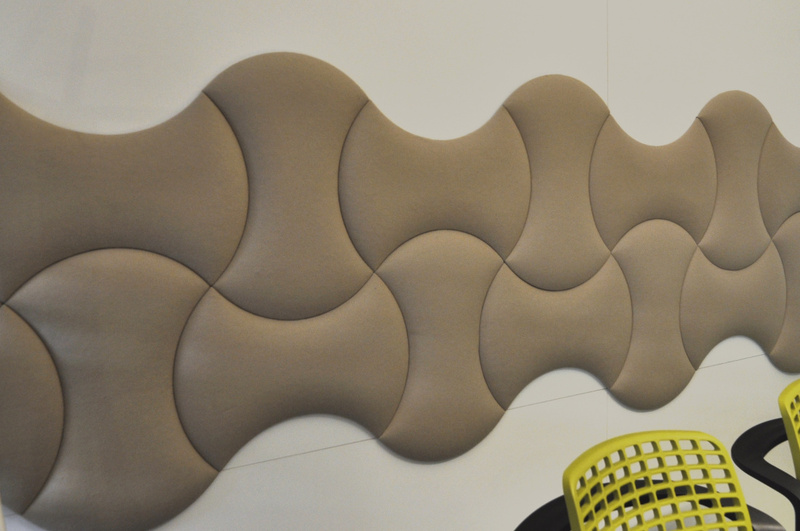 When we launched Hush Pads panels on the market we believed that our solution will make office acoustics much better. We were right. 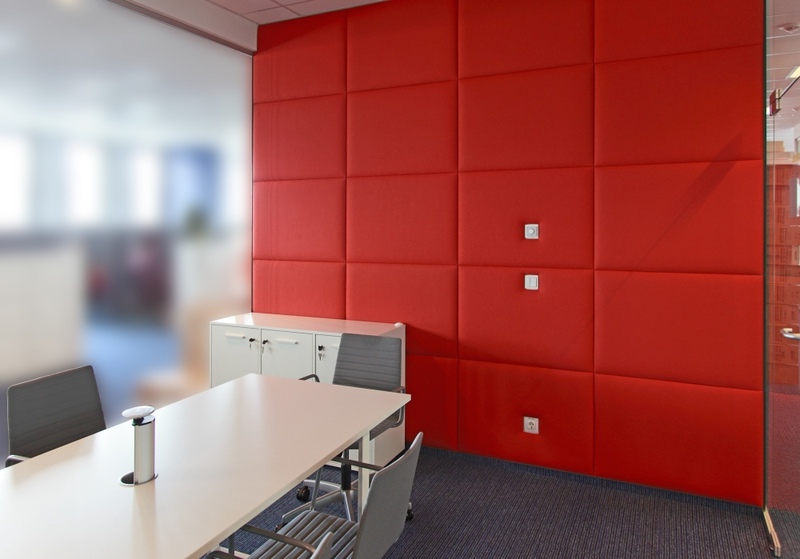 Innovation and safety combined with diverse applications and outstanding design decided on the success of Hush Pads panels. 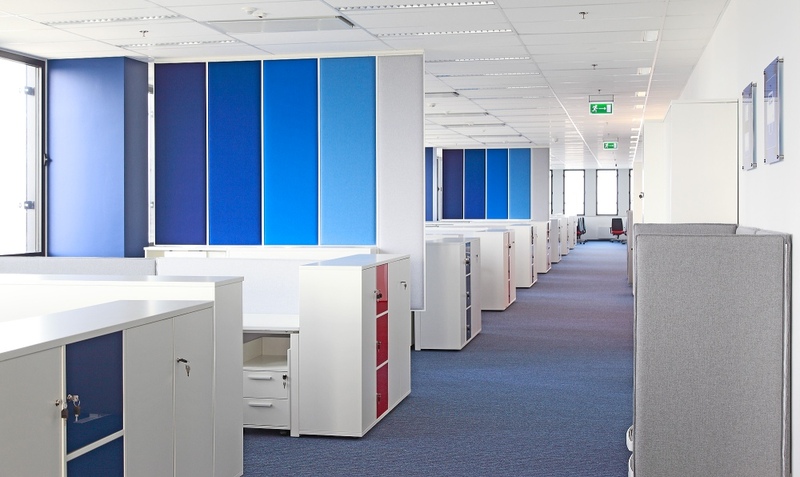 Very good acoustic properties were confirmed during laboratory tests performed according to norms ISO 354:2005 and ISO 11654:1997. 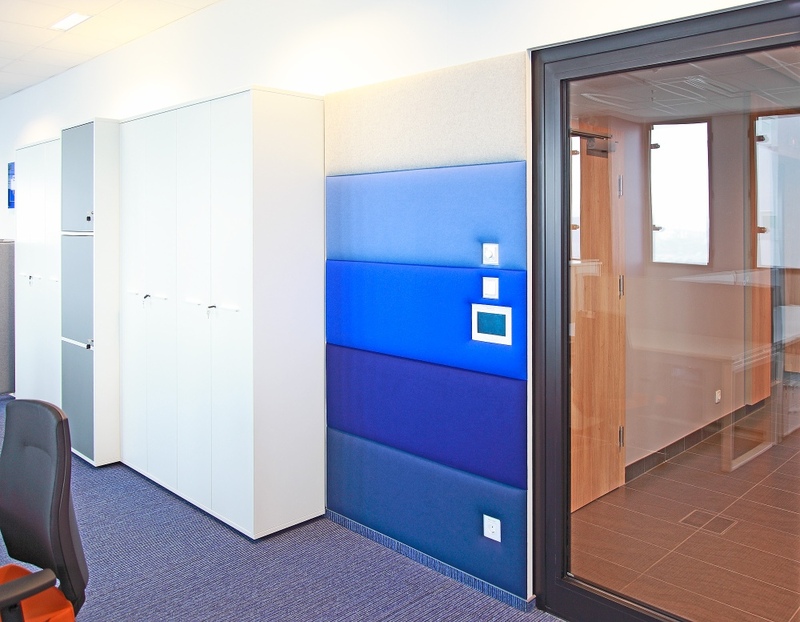 As result sound absorption indicator αw = 0.85 means that 85% of all sound waves are absorbed by each Hush Pad panel. 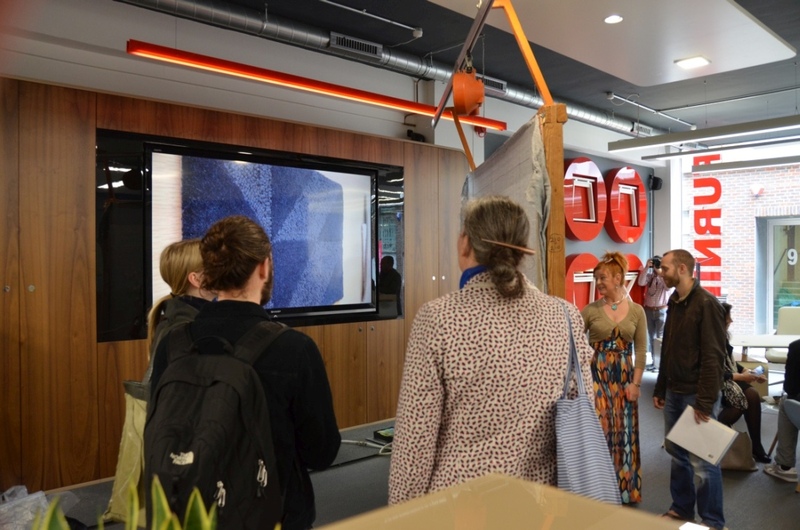 Fire safety is confirmed by accredited laboratory which performed tests indicating European fire classification for building materials. 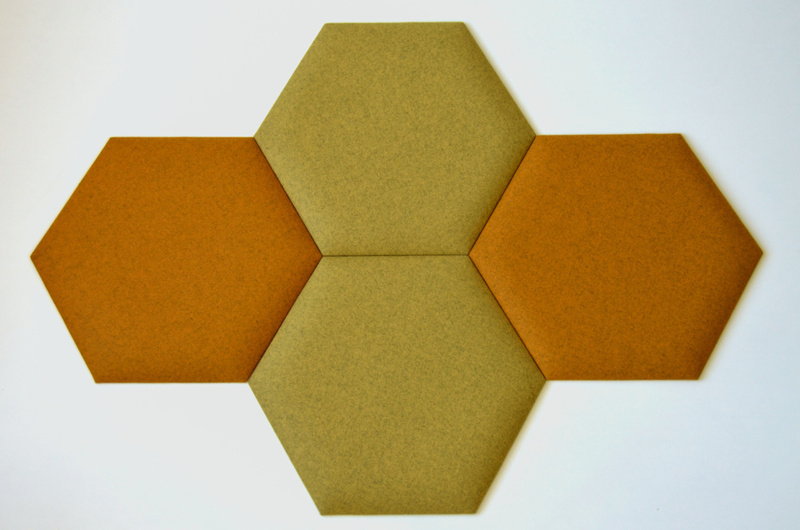 Hush Pads panels were granted classification B-s2-d0. 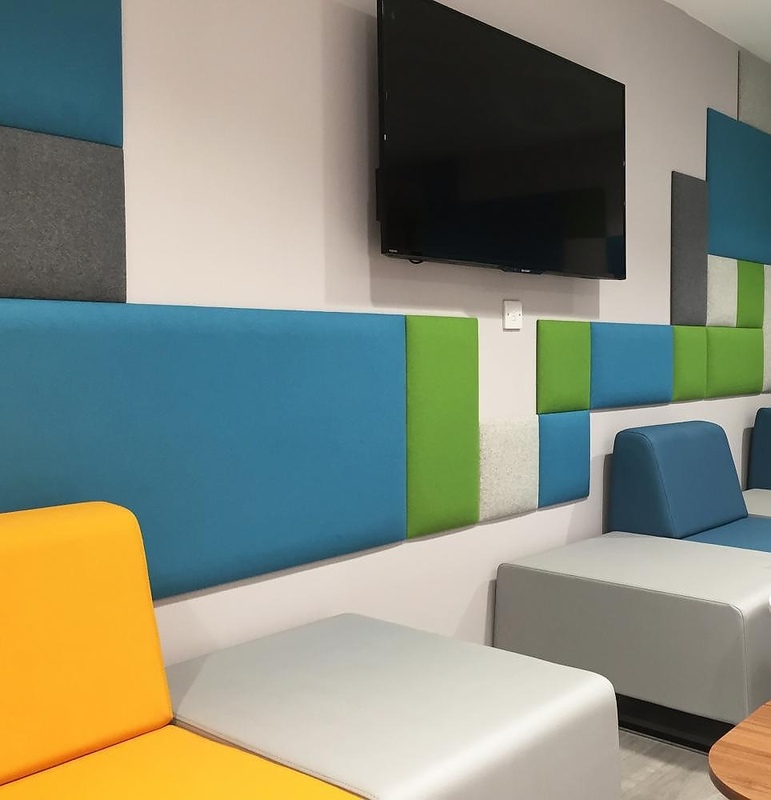 This result informs that Hush Pads are a flame retardant product and can be safely used indoors as a panel covering walls or hinged from the ceiling. Divers applications and great designs are best shown by our projects. 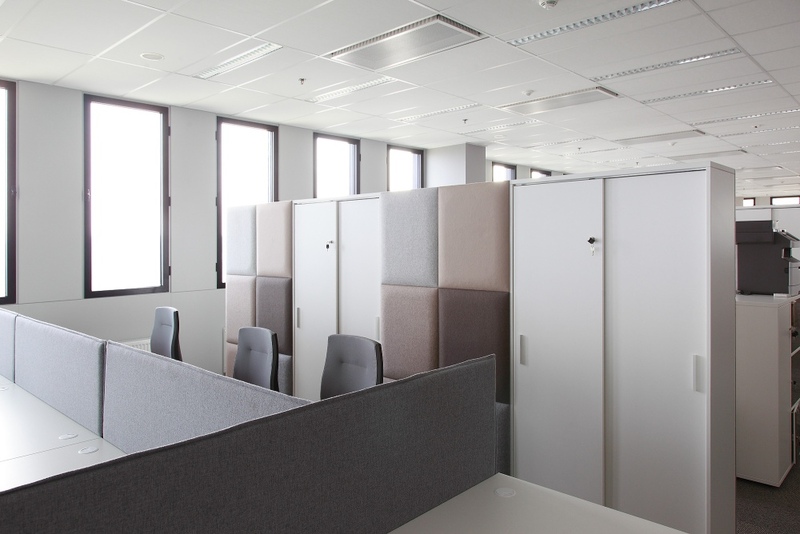 Despite a short period of time on the market, Hush Pads helped to change acoustic of various offices in Poland and abroad. 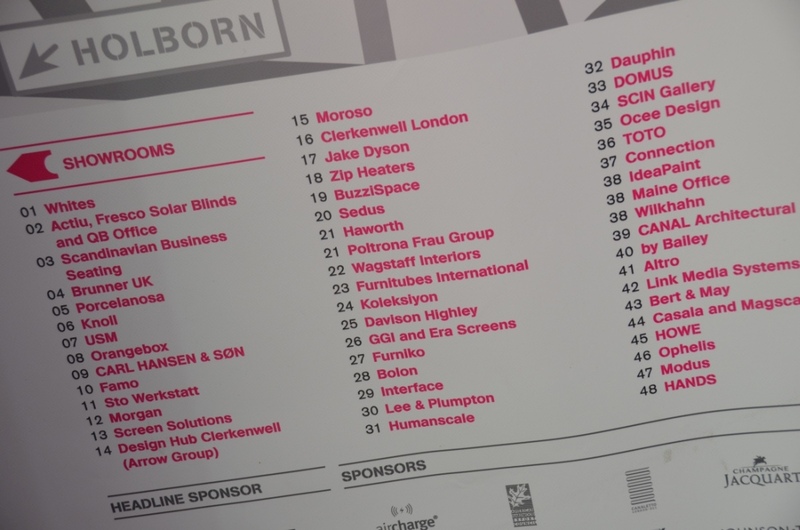 FURNIKO UK was an official partner of the sixth edition of Clekenwell Design Week. 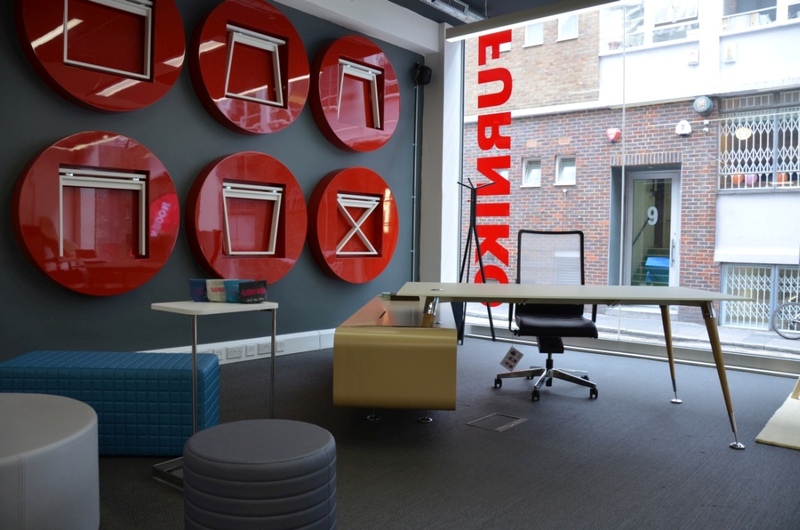 FURNIKO UK for a second time took part in Clerkenwell Design Week. 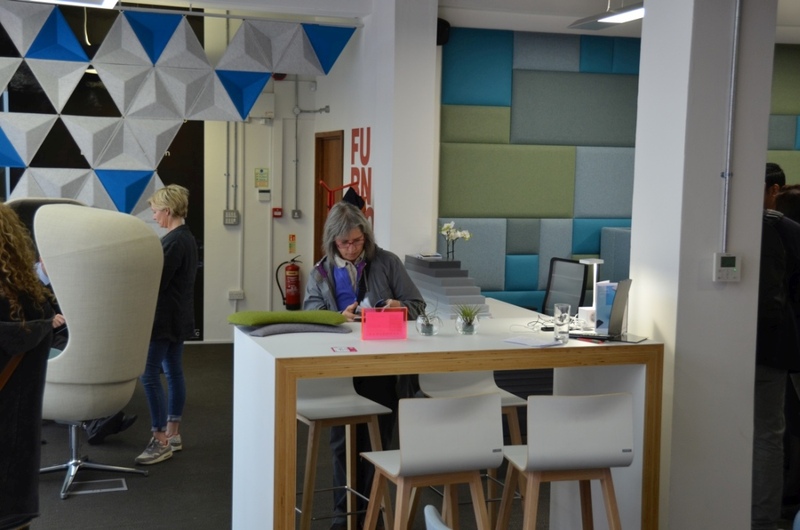 During the sixth edition of CDW FURNIKO UK showroom showcased for three days newest collections of FURNIKO furniture and our Solutions for work ergonomics, mobile technology and acoustics – Hush Pads panels. 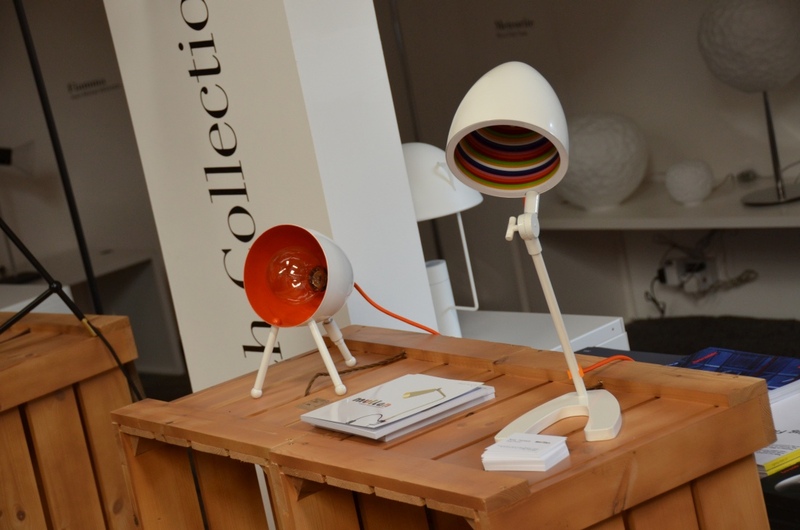 In addition the products of our partners: Bejot and Profim were presented. 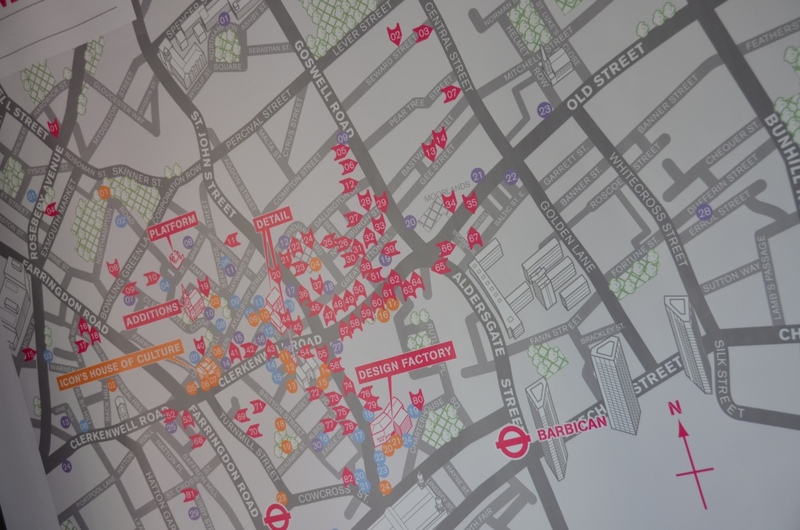 Clerkenwell is a part of London where such extraordinary people as Oliver Cromwell, Charles Dickens or Lenin lived in the past. 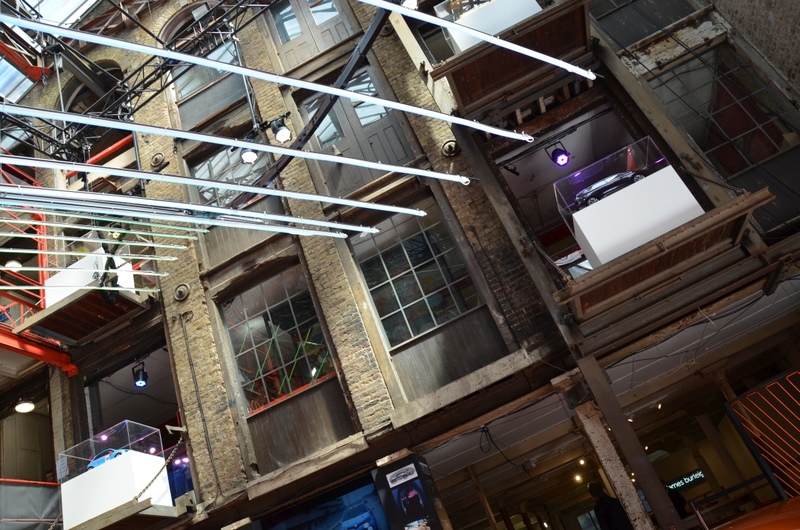 The unique atmosphere of this place which was occupied for years by printing companies, architecture studios and pubs and cafes full of artists made Clerkenwell Design Week a very special design festival. 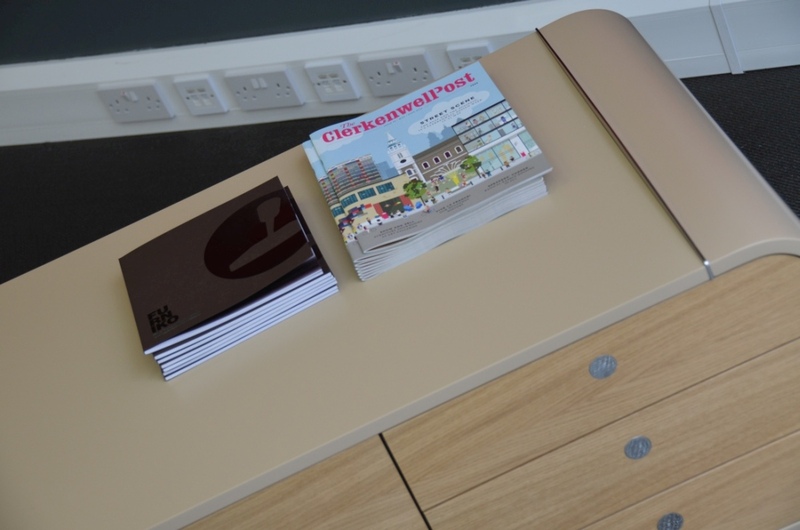 The vibe of Clerkenwell streets was incorporated into the CDW program which is focused on exchanging ideas, meeting new people and friends in a very casual way. 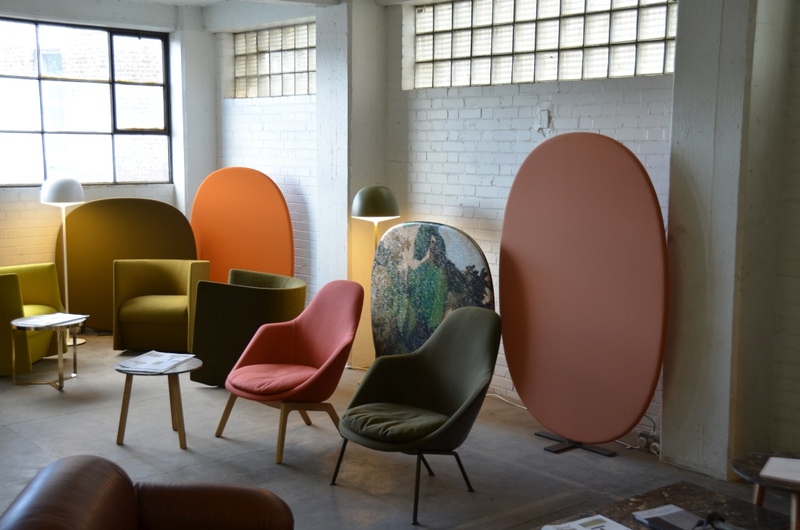 During this edition of Clerkenwell Design Week visitors could see 82 showrooms form the most renown office furniture manufacturers and designers in the world. 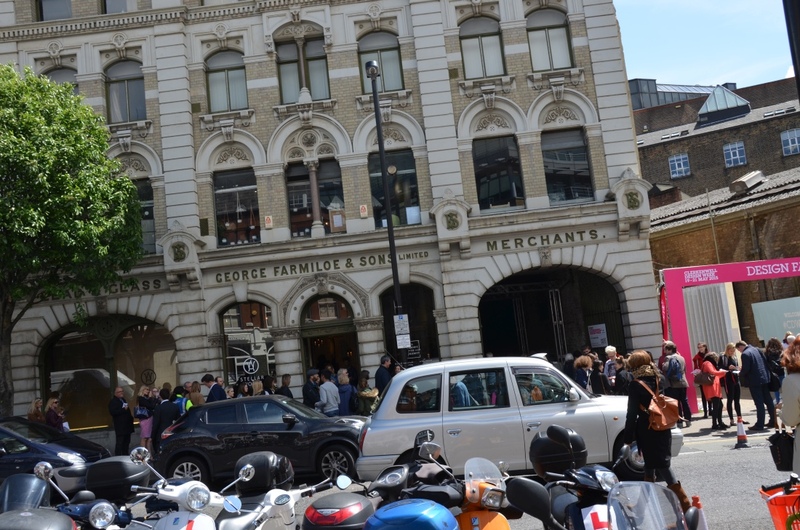 Compared to the last year it was an increase of over 20 showrooms. 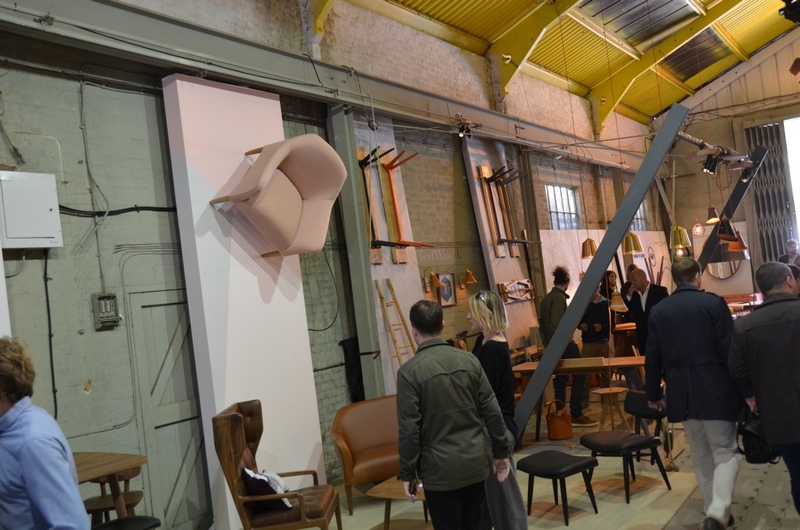 The satellite events were also more spectacular and included: design icons, design factory and fringe. 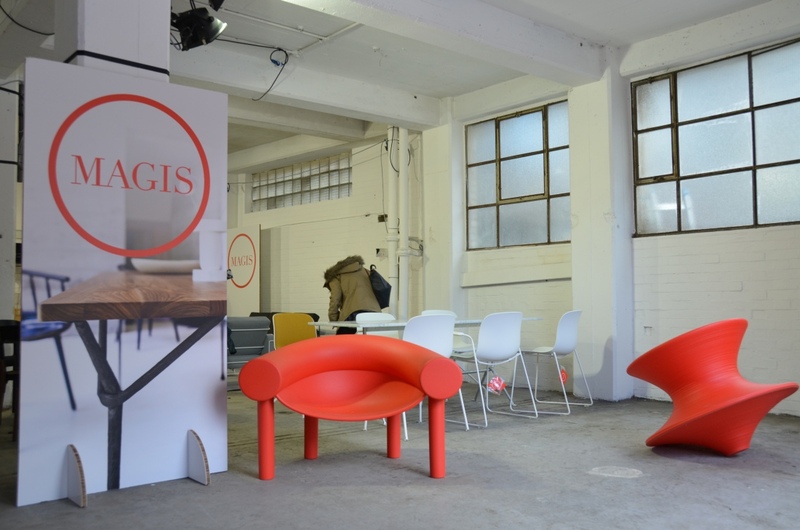 Fringe is a variety of Clerkenwell’s architecture and design studios. 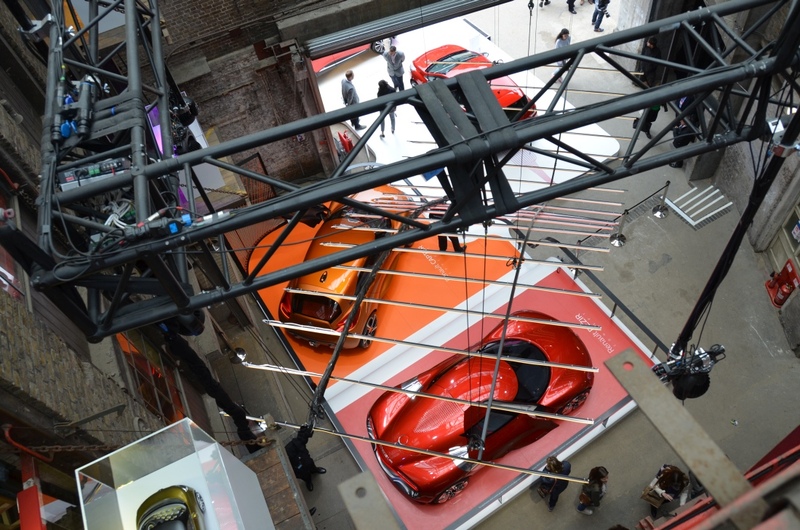 This year visitors had a chance to see Zaha Hadid’s works. 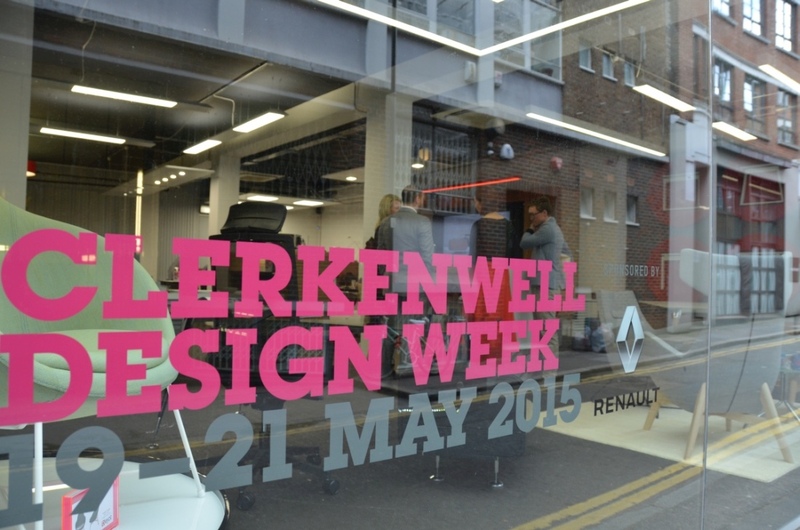 To move around Clerkenwell the main sponsor – Renault prepared special electric powered vehicles for visitors. 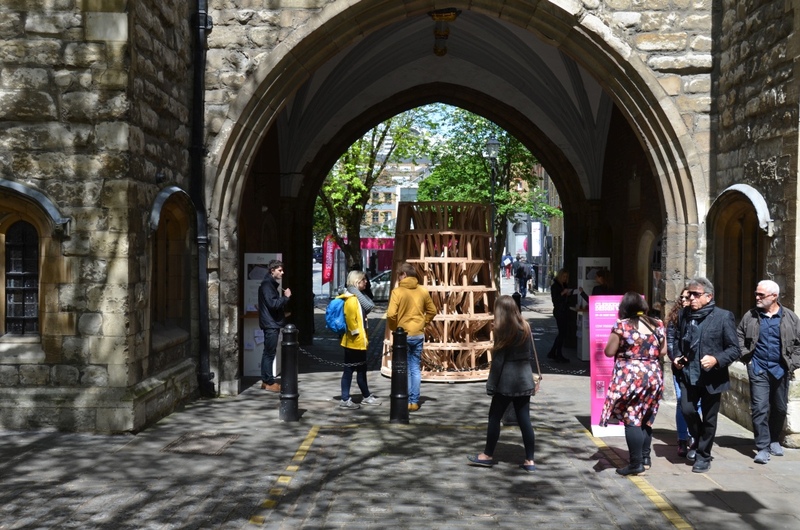 The FURNIKO UK team put a lot of afford to meet the expectations of the architects and designers visiting Clerkenwell Design Week. 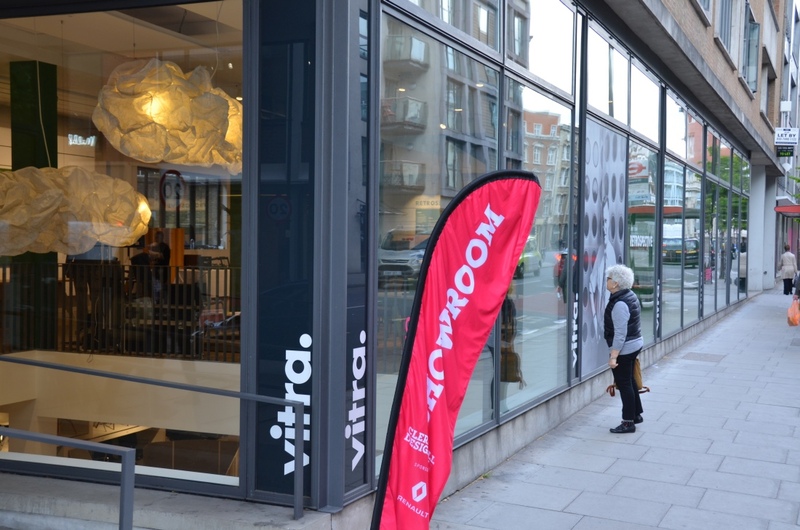 Specially for this occasion the whole showroom has been refurbished and made over. 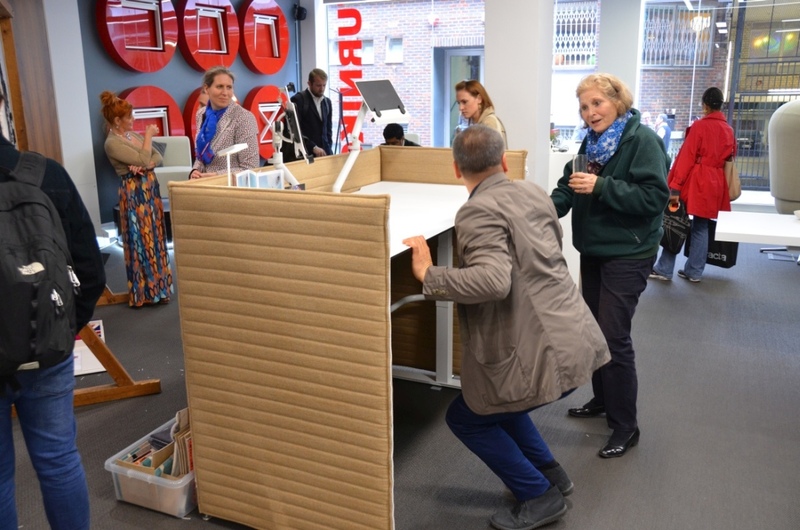 The program prepared by FURNIKO UK focused on different products each day of CDW. 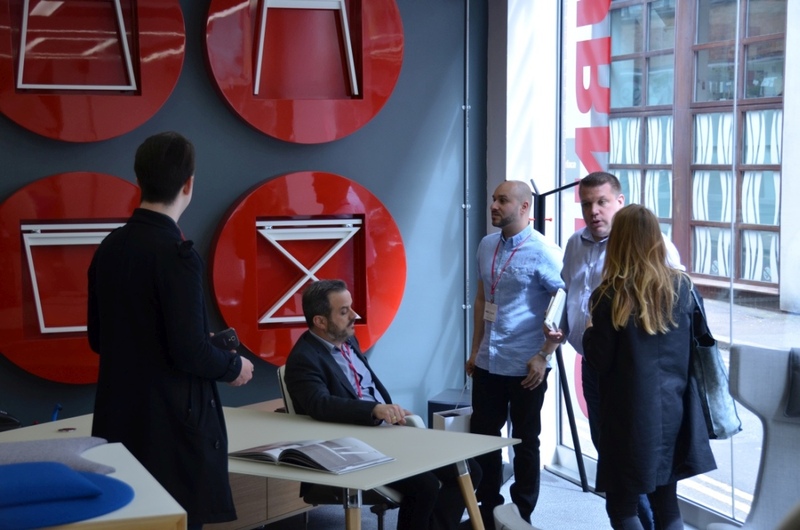 ASTERO executive furniture collection had its premiere on British market. 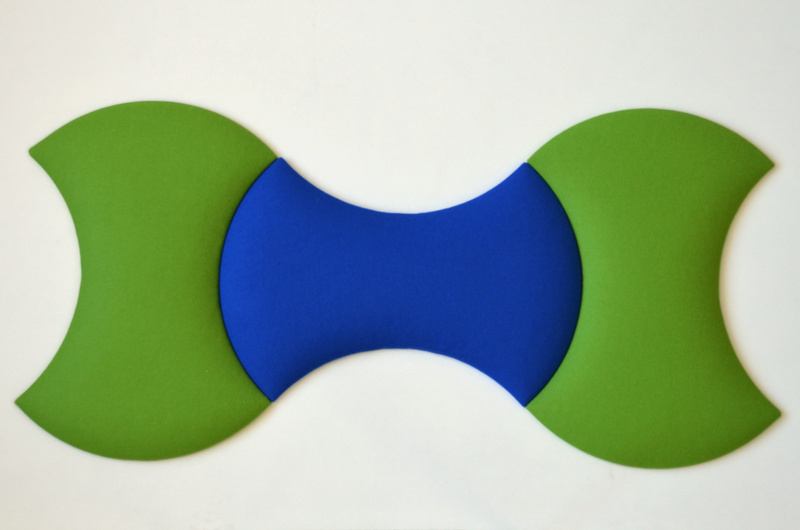 The only exposition that didn’t change was a composition made of Hush Pads acoustic panels covering a whole wall. 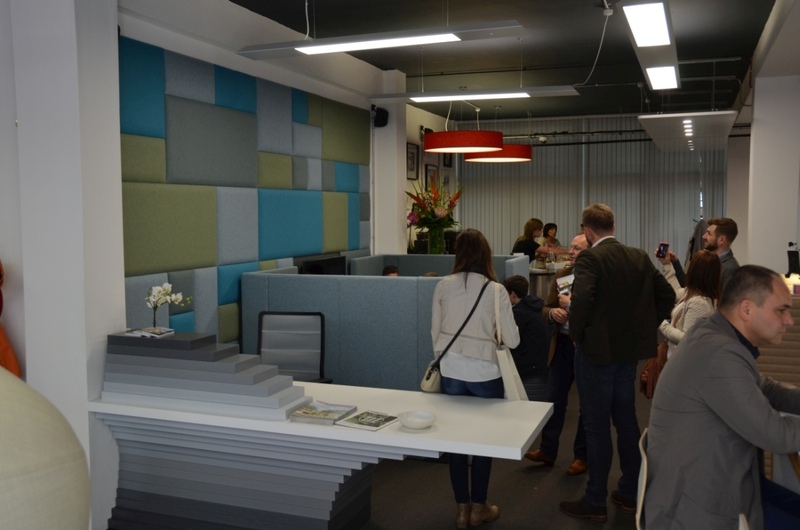 The super light and easy to mount acoustic panels were a huge success and gathered a lot of interest. 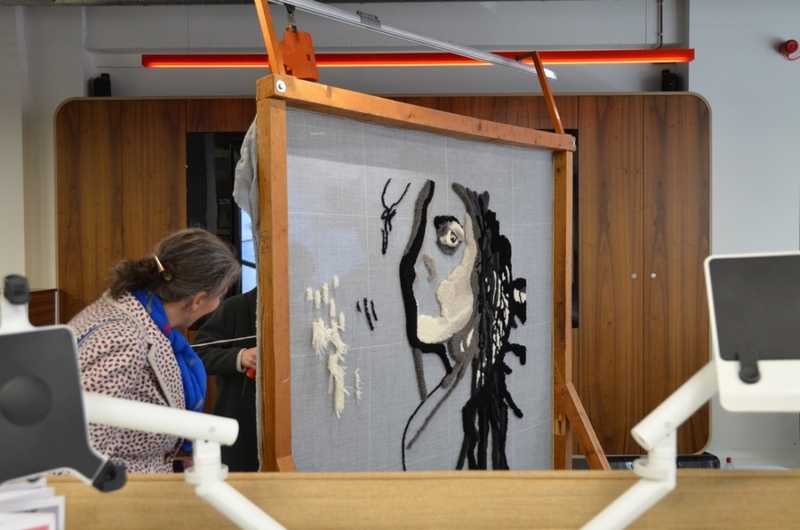 There were also workshops for bespoke rug making prepared by Clerkenwell RUG Studio. 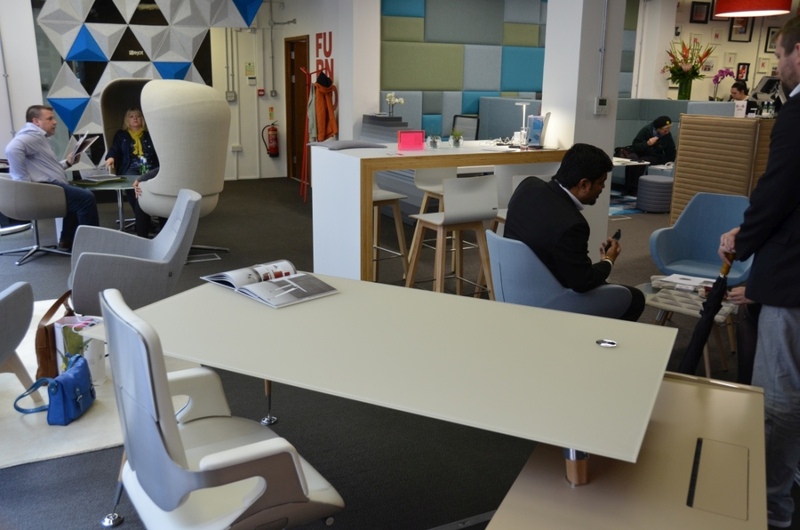 FURNIKO UK also showcased our height adjustable tables, acoustic screens and meeting tables equipped with Air Charge. At the end of the third day of CDW the whole exposition was moved to make room for a red carpet and space for Hed Kandi Djs. 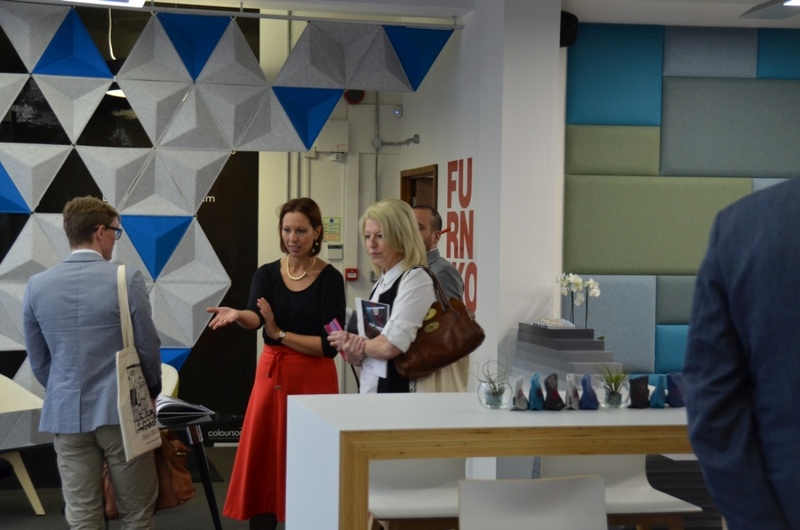 FURNIKO UK finished the Clerkenwell Design Week in a truly unique London style throwing a huge VIP party at the showroom. 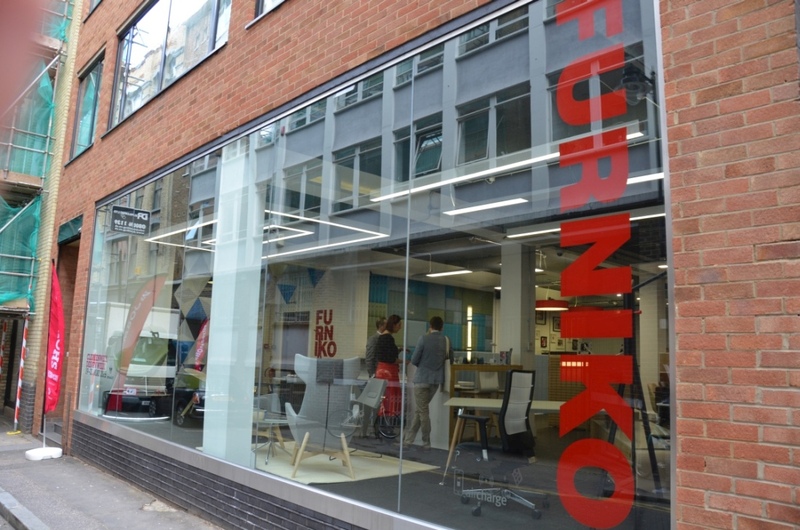 We congratulate the whole FURNIKO UK team for a perfectly prepared program of the events and all visitors for their time and interest. 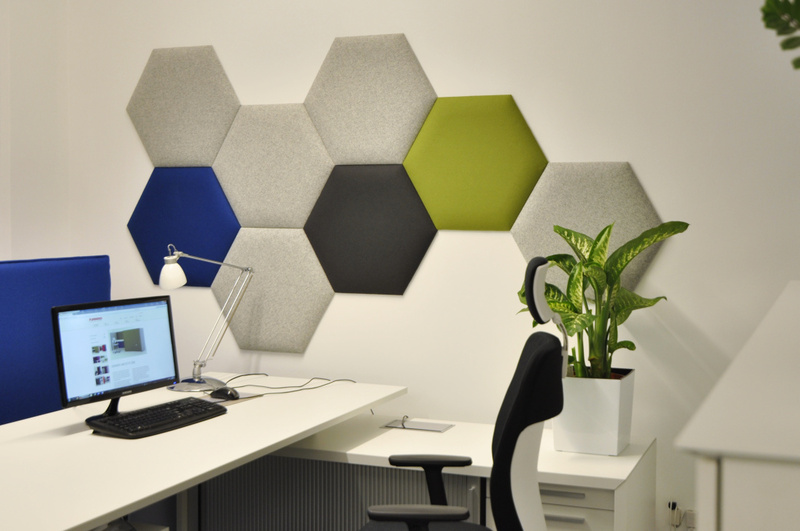 A new product joined FURNIKO’s office acoustics management range – Hush Pads. 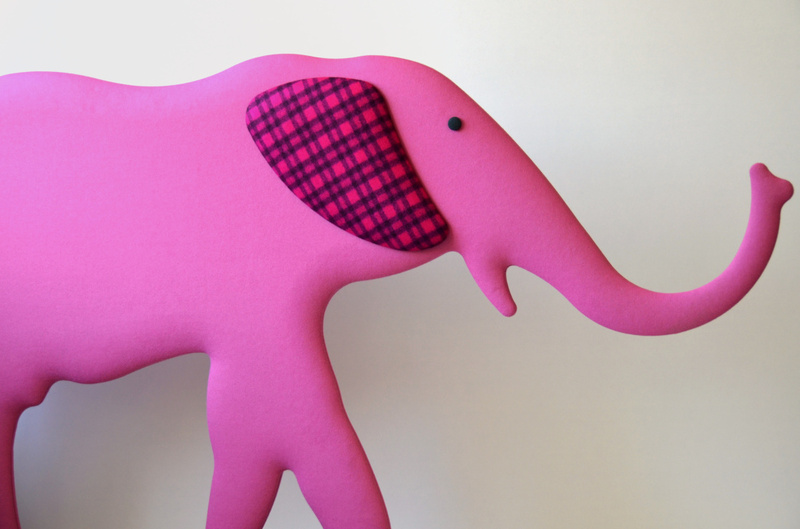 An innovative product with many applications. 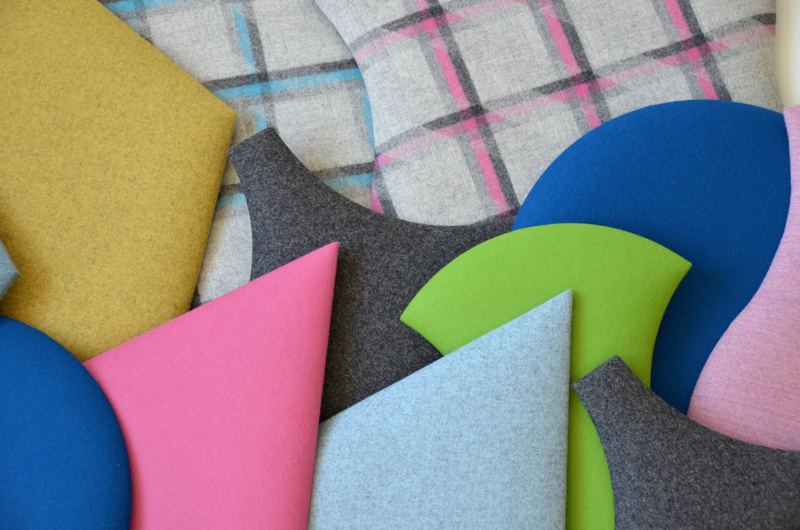 Hush Pads are made of polyester fibers which are formed using our technology into any shape desired. 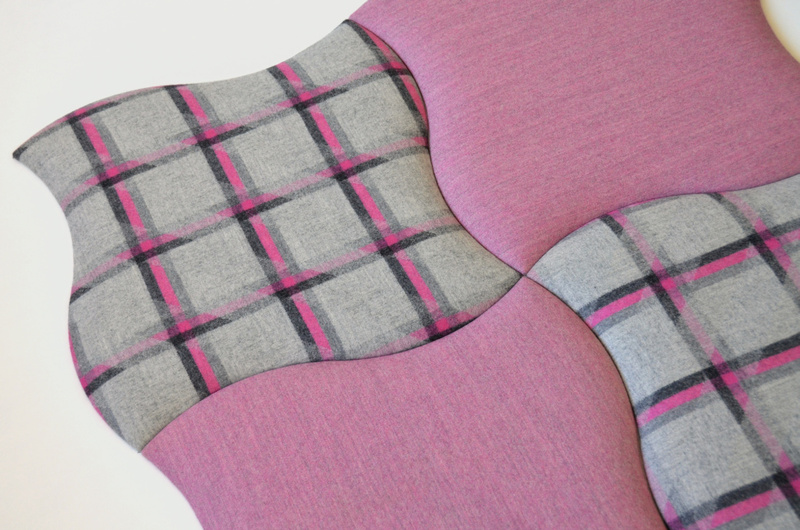 The surface is finished with natural wool fabric. 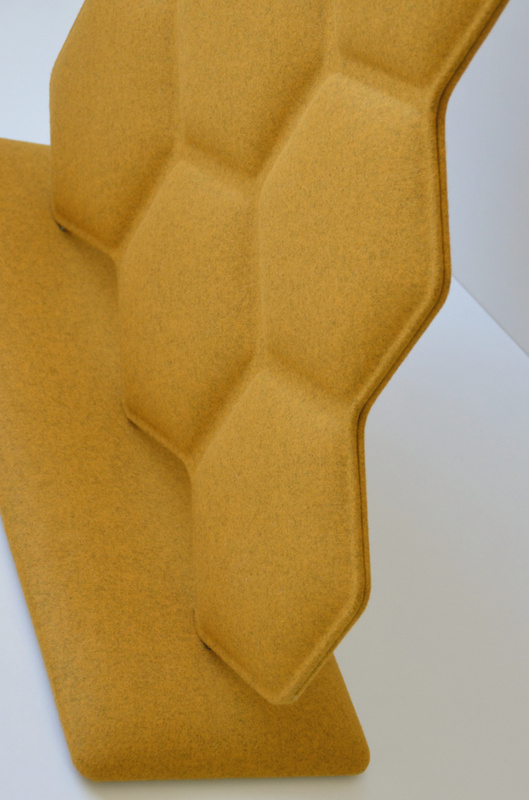 Thanks to the unique construction Hush Pads show very good acoustic properties. 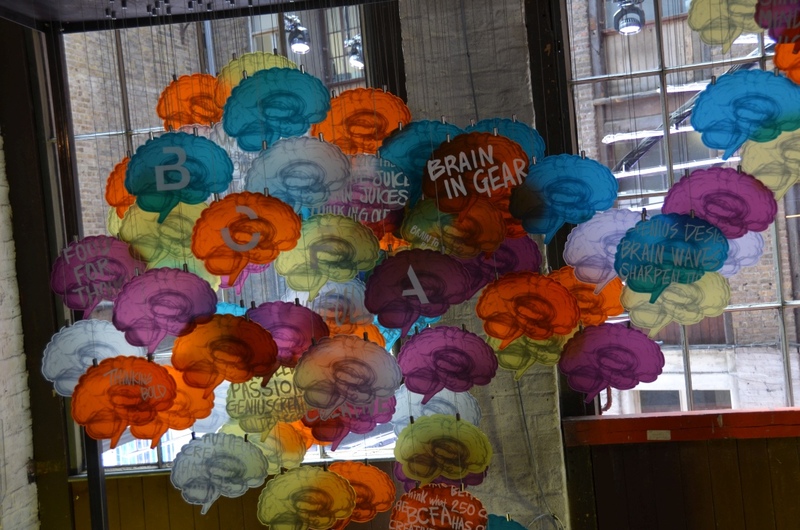 They are also incredibly light, made of nonflammable and ecological materials. 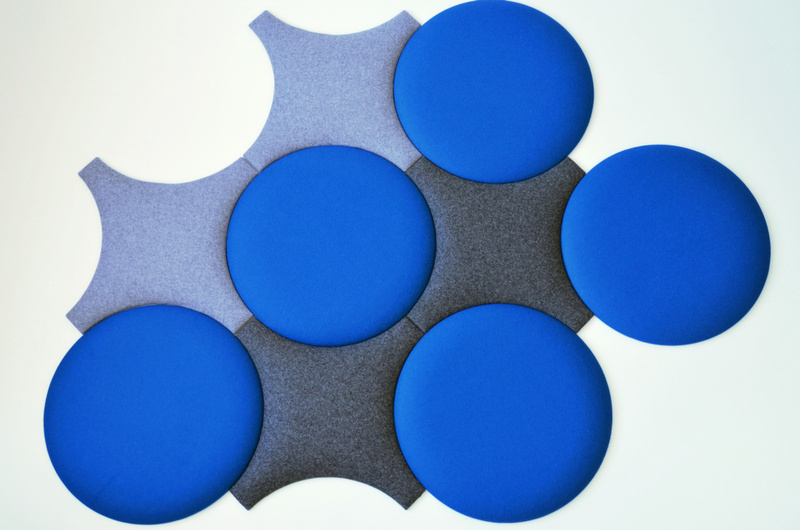 Hush Pads combine three elements: superb acoustic properties, design and functionality. 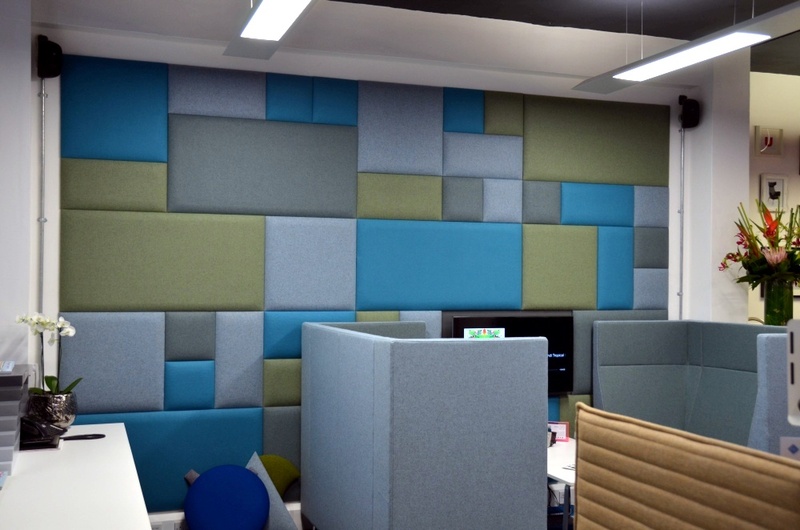 The product can be used as wall panels, hanging panels, freestanding panels, desk panels or anywhere there is a need for sound wave absorption and unique design. Hush Pads will be available soon in our offer. 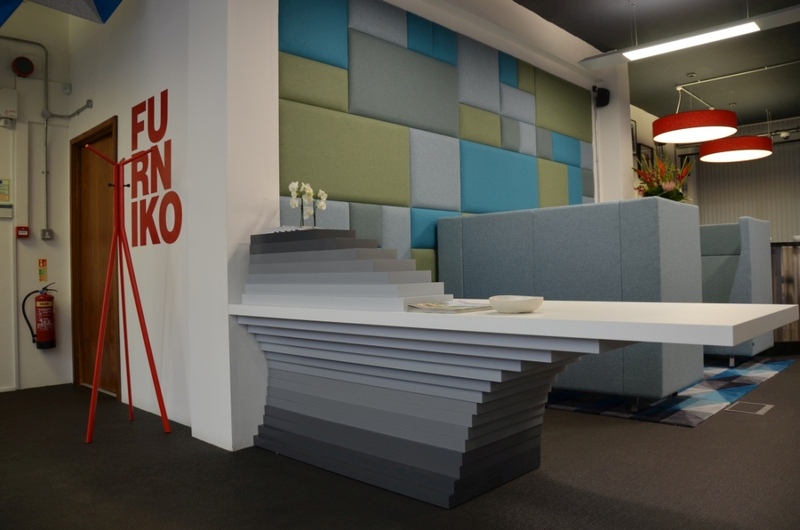 The official presentation took place on the 19th of March in FURNIKO Trade Office in Warsaw during product workshops for architects and interior designers.